These boards are black perforated boards. 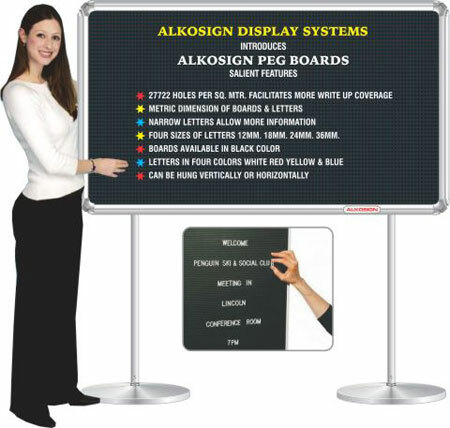 Information can be displayed vertically or horizontally. 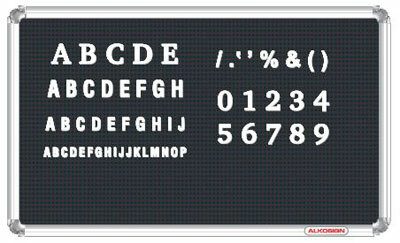 Used in offices, workshops, hotels and public places. Four corner brackets provided to fix on the wall. Consists of a heavy base. Anodized Aluminum pipe of length 1800mm with two nylon holders which can be fixed on the boards. 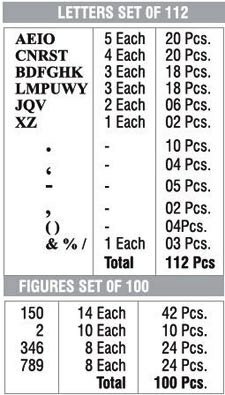 ASL Sets of 112 Letters & ASF Sets of 100 figures are available for the board. Available in 4 sizes in White colour. All sets are packed in a plastic box.